construction, insurance and financial services, healthcare and medical services, hospitality, retail, manufacturing, etc. people, processes and systems on a national basis at all levels. clients; yielding improved organization results. HR and organization development solutions for a variety of domestic and international clients across a variety of industries. and branch store service and systems training for Burdines’s, a division of Federated Stores. 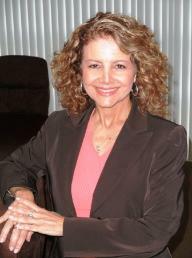 active board member for The Child Care Resources and Referral Services. she conducts SHRM HR certification preparation courses. Bachelor of Education degree from the University of Miami.